In 2017, the Diagonale Film Meeting poses for discussion the popularity and potential of Austrian film. 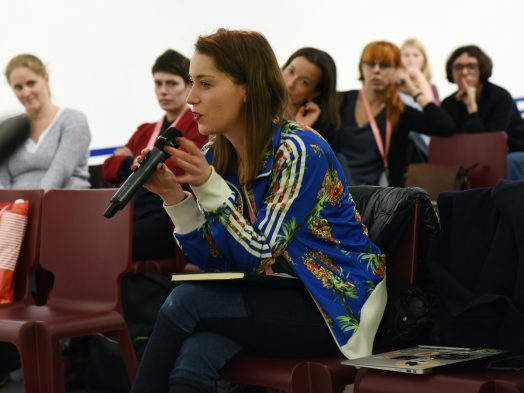 As an open forum for exchange, the two-day think tank focuses on the status quo and future of Austrian film and cinema. The Austrian “film wonder”, meanwhile honored with two foreign-film Oscars, faces in part sobering box-office results: roughly two-thirds of the Austrian films that open at domestic cinemas every year have less than 10,000 viewers – even despite elaborate marketing and considerable success at festivals. Also the national market share (5.3 percent in 2015), which in a European comparison ranks in the lower third, is a constant source of internal, openly aired frustration within the industry. Although success is not expressed solely in audience figures, which must also be shifted into a proper perspective within today’s market realities, many in the film industy sense a desire for change: some focus on films that go well with audiences in order to gain success and legitimation to the box office, while others point out the diversity of stories and film forms that maintain a competitive film culture. Additionally, the demand for fewer films is constantly heard as the great number of films produced every year in Austria exceeds the capacity of the cinemas. And still others demand new, more innovative strategies for distribution and film marketing. For two days, the Diagonale Film Meeting explores potential avenues for increasing domestic audiences’ awareness of Austrian film. The thematic complex of input, presentations, case studies, and panel discussions ranges from production suitable for specific target groups through the value of auteur cinema to the exploitation potential of regional specializations.